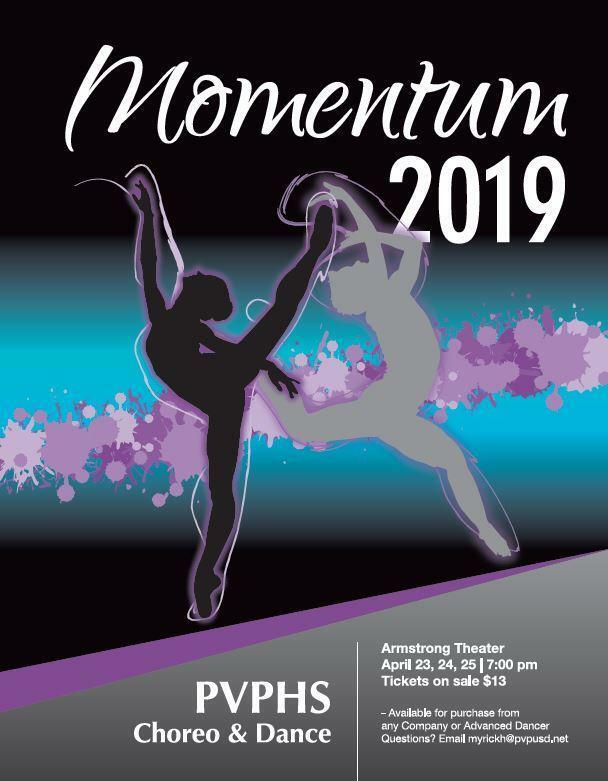 Join us for our spring dance production, Momentum 2019, coming up April 23rd through April 25th at the James Armstrong Theater in Torrance. All shows begin at 7pm and feature over 100 PVPHS dancers. Our Advanced, Coed and Intermediate classes will be represented in a variety of dance genres. Tickets are $13 and available from any Advanced or Choreo member. Please email Mrs. Myrick at myrickh@pvpusd.net with questions.